Family traditions are cherished and honored. 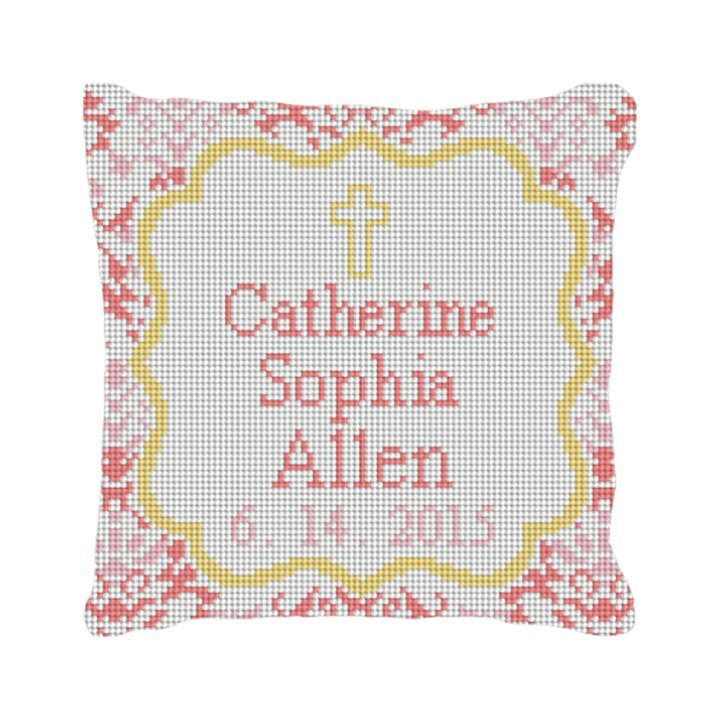 What a fabulous way to celebrate this family event; by stitching our Christening Love Needlepoint Pillow Kit. Personalize with the baby's name and Christening date. This pillow can also be customized as a wedding ring bearer pillow, by adding the bride and grooms name, and wedding date.